KATHMANDU: A report published by the Office of the Auditor General has revealed that the Election Commission spent more than Rs 40 million provided by the United Nations Development Program (UNDP) outside the audit process. The fund was provided to the commission ahead of the 2017's parliamentary elections for the purpose of organizing trainings, and producing training materials voter education materials. “All foreign aid received for election and expenses should be included in the audit system,” states the report. The report has also found that members of the Election Commission spent an additional Rs 230 million by exercising their prerogative. It states that the commissioners exercised their prerogative to provide additional perks and benefits to themselves and to staffers such as special allowances, promotional allowances and deputation expenses meant for government officials during the election and caused a huge loss to the state coffers. 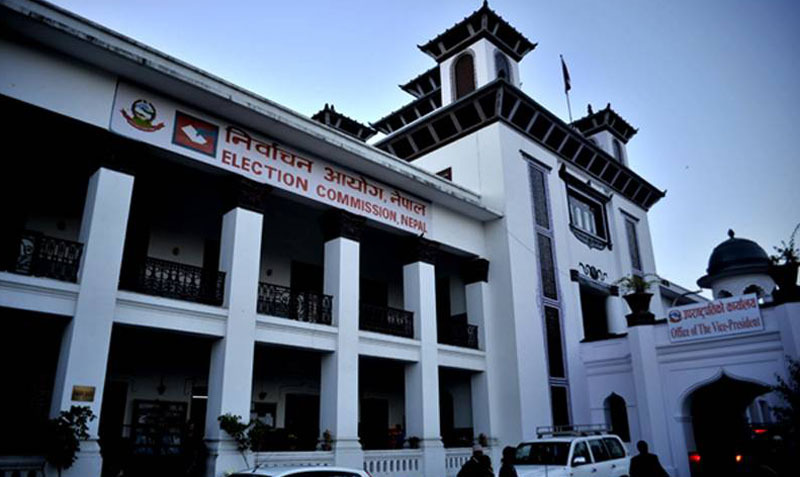 Contrary to the practice of issuing a notice on the Nepal Gazette before deciding about additional meeting allowances, mid-day allowances, communication expenses and special election allowances, the commissioners distributed Rs 12.7 million to election officials including themselves. Likewise, the OAG, the body mandated to audit the expenses of the government, has found that election commissioners committed malpractice while awarding contracts to print the voter identity cards. The election body, which had printed voter ID cards at the rate of Rs. 9.99 per piece had later hiked the price to Rs 13.50 while holding third round of local elections in the eight districts of Province 2. The price of voter education materials was hiked at the last moment. The election body, according to the OAG report, has not clarified the price rise. The election body is found to have procured 4,996,000 additional pieces of five types of voter education materials such as booklets, election code of conduct and election brochures and incurred a loss of Rs 50 million of loss to the state. Despite having 13 printers at the office, the election commissioners procured three new printers for a total of Rs 245.3 million. The new printers were procured without following the public procurement law. When asked why were the new printers purchased, EC officials have responded that the 13 printers were not in working condition, according to the report. The report has reminded the election body of engaging in extravaganza even after the election. The election body, as per report, procured five Prado cars for commissioners and incurred an additional burden of Rs 116 million to the government. The vehicles were procured when each commissioner was using more than two luxurious cars. “Procurement should be only based on necessity,” the report has stated suggesting to the election body.